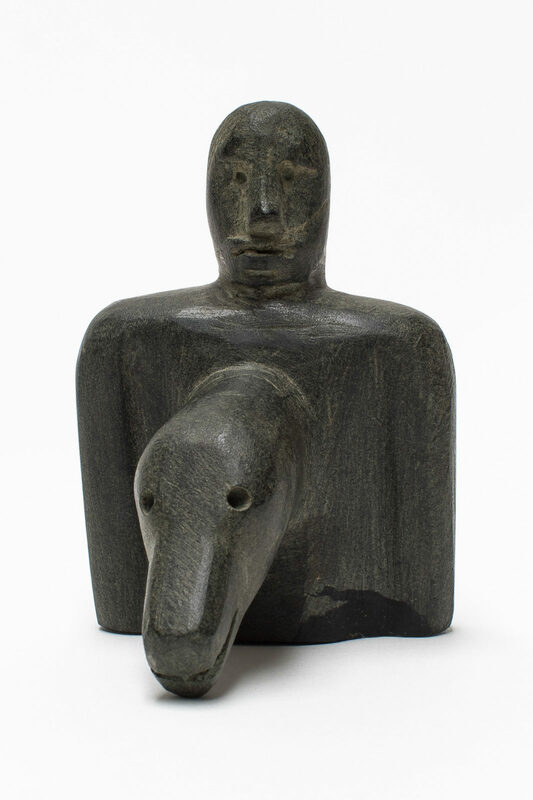 untitled (mann and bear transformation), c.1970, stone, 3 x 2.25 x 2.75 in. 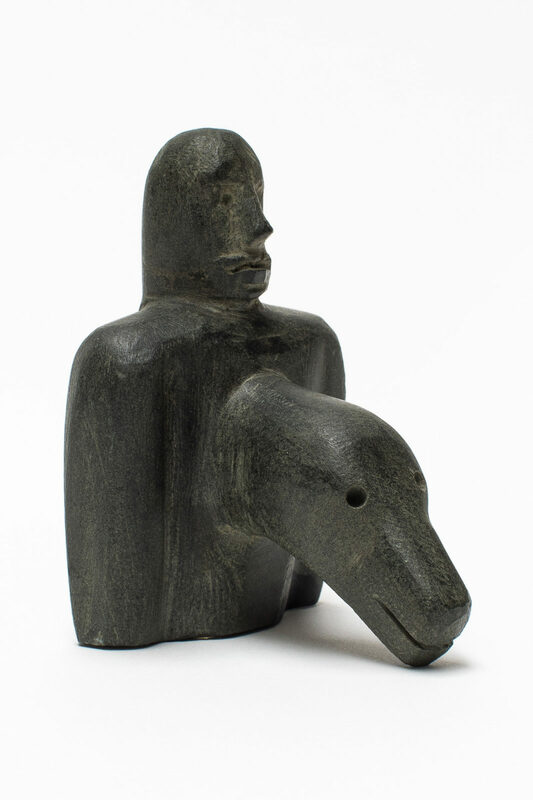 untitled (mann and bear transformation), c. 1970, stone, 3 x 2.25 x 2.75 in. 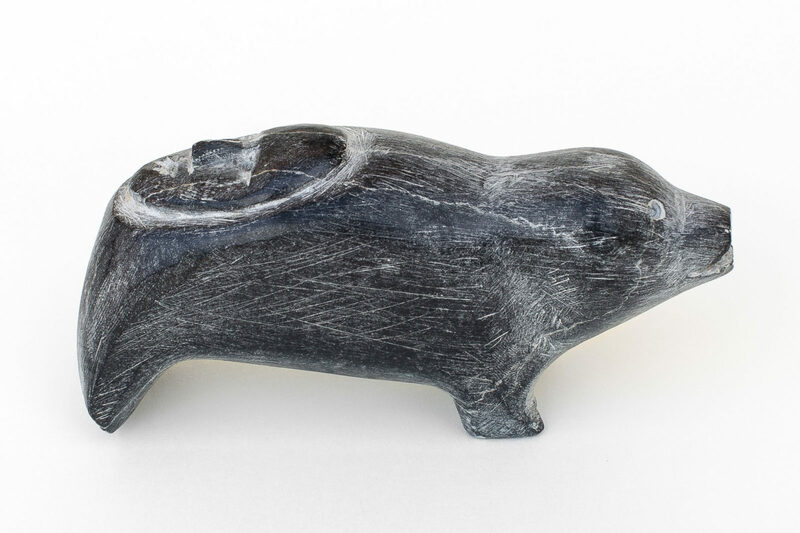 untitled (swimming muskox), c. 1972, caribou antler, stone, 1.75 x 3.25 x 1.5 in. 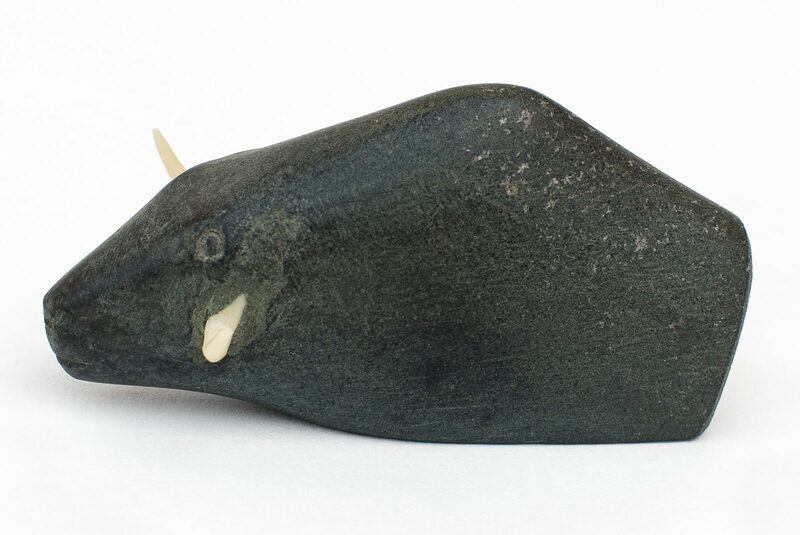 untitled (seal/bear with human face), c.1970s, stone, 1.5 x 3.5 x 1.25 in.